YouTube star PewDiePie has recently apologised after posting a meme mocking Demi Lovato, who was being treated in hospital earlier this week for a suspected drug overdose. The now deleted post showed the singer asking her mum for money to buy a burger, to which she spends on heroin instead. This caused a heated reaction from Lovato’s fans, as well as people who support others battling addiction. The 25-year-old has always been open about her struggles with addiction, eating disorders, depression and bipolar disorder in the past, and she has a particularly strong fanbase who have been sharing their stories of how she impacted their lives. Responding to the backlash, PewDiePie claims he “didn’t fully know about the situation”, despite the story being spread everywhere across the internet, and said that his post was “insensitive”. It’s unclear as to whether he made the meme himself or reposted it from someone else. While we understand people can be way too sensitive these days, it’s still pretty tasteless, don’t you think? Damn boy, you stay apologizing huh? You’re a grown man, one of these days you’re going to have to start learning from your mistakes or we’re going to have to learn that you’re just an insensitive person that continues to not think before he speaks/acts/films himself. 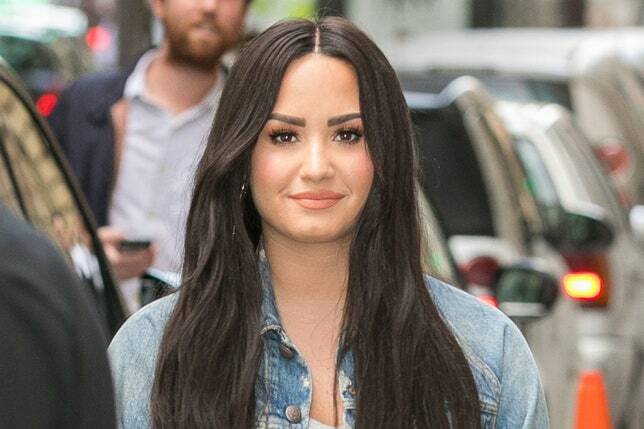 Multiple sources, the first being TMZ, reported that Lovato had been hospitalised after an apparent heroin overdose, while the outed cited law enforcement sources claimed she was given emergency overdose treatment (Narcan) at her home before being admitted to hospital. Reports also suggested that her team had been expecting this to happen and they kept Narcan handy, in case something should go wrong. Lovato’s representative told Business Insider on Tuesday that the singer was “awake and with her family” following the reports of a suspected drug overdose, and while they said that some of the information reported about her condition was incorrect, they did not give any specific details. A family spokesperson also told the BBC that the family “want to express thanks to everyone for the love, prayers and support”. This isn’t the first time PewDiePie has come under some controversy, as last year Disney cut ties with him following several videos that he uploaded which contained Nazi references and anti-Semitic imagery. YouTube also cancelled his commission for an original show. Later on in the year, he apologised for using a racial slur during a live stream.